One year ago this month, my hometown of Portland, Michigan was struck by a tornado. The storm damaged several homes, businesses, and churches. Thankfully, no one was seriously injured, and one year later the town has largely recovered. I know of several good friends who have recently moved back into repaired and rebuilt homes and offices, thanks to the benefits provided by their insurance providers. However, it has not been an easy road back for everyone. I blogged about the storm and some of the recovery struggles last fall. Some of my friends who are ecstatic to be back in their home or office have mixed feelings about the sometimes long and arduous claims process they endured to get there. There are also a few situations where people are still not back in their damaged homes primarily because the insurance coverage they purchased was insufficient. Two such situations involve older, shall we say “vintage,” homes whose owners understandably want the repairs done with like-kind and quality materials rather than similar or functionally equivalent materials. The trouble is that like-kind and quality materials in vintage homes are much more expensive and not typically covered by traditional homeowners insurance policies. Therein lies the source of conflict and the delay in getting these policyholders back in their homes. 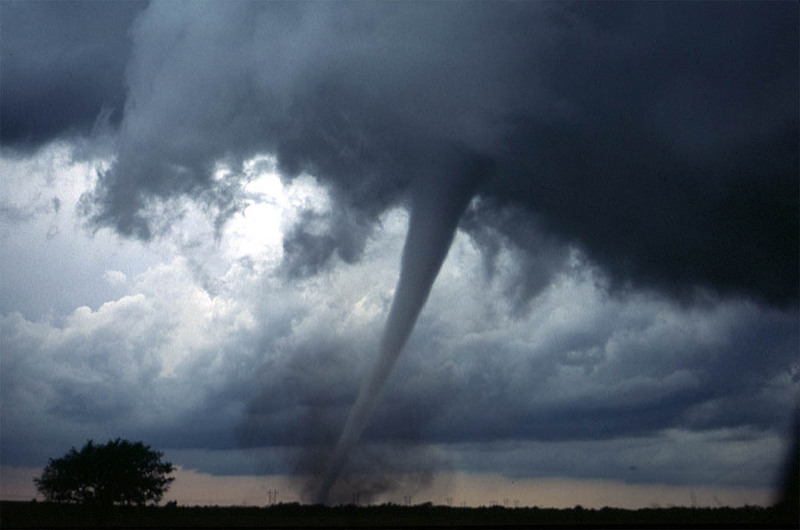 This entry was posted in Insurance, Risk Management, underwriting and tagged homeowners insurance, tornado on June 10, 2016 by drdavidallenbrown. Staying with the theme of last week’s post – which was an exercise in exasperation over the ongoing stream of high-profile data breaches – I decided to examine the insurance industry’s readiness/appetite to respond to this risk. My conclusion? 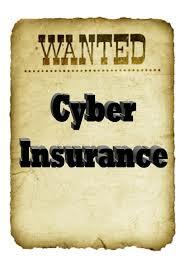 The demand for cyber insurance is clearly surpassing the available capacity for such coverage. That conclusion certainly isn’t a surprise to anyone, and the reasons given for limited cyber insurance capacity are logical. Nevertheless, your humble blogger senses that there is reason to be concerned that the nascent cyber insurance market may not develop as risk managers hope and expect. Insurance Journal reports that there are just a few insurers cautiously wading into the cyber insurance market at this time, and that their offerings are limited by policy exclusions and low limits of insurance. Insurance buyers are seeking far more coverage than the insurance industry is ready and able to supply at this time, reportedly because the actuarial data is insufficient to properly model cyber risk and to price the risk appropriately. More time and data is needed, experts say. Red flag alert. Underwriting more conventional risks such as property losses caused by fires and storms, or liabilities for slips/falls, will clearly benefit from mounds of historical data. Fires, storms, and slip/fall hazards present relatively stable risks. One can argue the nuances, such as improvement of flooring technology to reduce slips/falls, and better fire protection systems, but the inherent nature of fire, slips/falls, etc. are fairly constant. Personally, I am not convinced that the cyber actuaries and underwriters are going to find anything close to a stable risk model for the cyber risk insurance products they are working on. If we have learned nothing else over the past 20 years, we have learned that “internet time” passes by very quickly. Just as we become comfortable and proficient with the latest technology, obsolescence sets in. In my past life as a software developer, I spent a fair amount of time with my fingers in source code and I know just how quickly those coding skills atrophy simply because of the swift passage of time that brings about new software tools, methods, and insights. The basis of many cyber risks is in the billions of lines of source code throughout our systems. It stands to reason that just as the insurance industry grows comfortable with the cyber risk threat from an actuarial and modeling perspective, the target will have moved as the software and systems rapidly evolve – frequently with insufficient time to harden and protect the code from the creative attacks of hackers. There should also be some concern over the extent to which cyber risk is or is not an insurable risk according to the textbook definition. The insurance industry functions best when the law of large numbers can work across a multitude of similar exposure units, and when losses are independent and not catastrophic. Geographic concentration of a book of business without adequate reinsurance in hurricane-prone locations has killed some insurance carriers in the past. What might a particularly nefarious and unanticipated piece of viral source code do to the Fortune 500 and their cyber insurers if it proliferates through a common and previously unknown code vulnerability in common platforms such as Oracle databases or Cisco routers? Cyber insurance is in great demand, and the headlines provide witness to why this is so. The unanswered question remains, to what extent can and will the insurance industry have the capacity to meet this demand or will alternative risk management techniques be forced to fill the gap? The cyber insurance market may well be even more challenging than the terrorism risk insurance market. This entry was posted in cyberrisk, Insurance, Risk Management, underwriting and tagged cyber insurance, risk management, underwriting on June 12, 2015 by drdavidallenbrown. I have a soft spot for the underwriting profession, primarily because that’s where my own career got started. It has to be one of the least understood professions out there. My own story is typical. My senior year at Michigan State University (Go Spartans!) was filled with on-campus interviews with a variety of companies and job types. With an undergraduate degree in Socioeconomics (a blend of political science and economics), I wasn’t sure what sort of job awaited me. What I had going for me was a strong set of analytical and communication skills. As it turns out, that skill-set is well suited to insurance underwriting. But I didn’t know that then. When I interviewed with CIGNA (back when they were still in the property and casualty insurance business) I had to do some fast research to have the slightest clue about the job for which I was interviewing. So what does an insurance underwriter do? 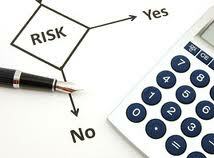 At the very heart of the job, it comes down to deciding which risks the insurance company will accept and at what price/terms. Staff underwriters typically work in an insurance company home office and set guidelines for the types of risks that are acceptable to the company. Line underwriters apply those guidelines to the individual risk applications that they underwrite. That is an oversimplification of the job because underwriting requires thorough analysis of risks, interaction with insurance agents, loss control, claims, management, and more. Creativity and problem-solving skills are paramount because some risks may not be acceptable upon first review but creative application of loss control measures and insurance contract modifications can make it possible to accept a challenging risk. A win-win-win for the insurer, the agent, and the insured. Rather than reinvent the wheel, take a look at this description of effective underwriting. I remember my early days as a brand new property and casualty insurance underwriter, and the relationships that I built with many commercial insurance agents. They knew that I was a “newbie” and I appreciated their patience with me, and many of them took the time to contribute to my early career education. An experienced underwriter is like gold to an agent because they have the stories and insights that help agents to write more business that fit within the underwriting appetite of the insurer. I moved on to an underwriting/marketing staff position, and then jumped over to a corporate risk management position before launching my own business. I didn’t spend enough time in my underwriting job to develop the kind of deep expertise that makes an underwriter extremely valuable. I respect the underwriting professionals who have developed that kind of expertise and make the industry work so well for the insurers, agents, and insureds. It’s a little-understood job, but a very rewarding and valued job. Go kiss an underwriter today. This entry was posted in careers, Insurance, underwriting and tagged careers, insurance, underwriter, underwriting on March 27, 2015 by drdavidallenbrown.